I'll keep my eye out for the instruction booklet. 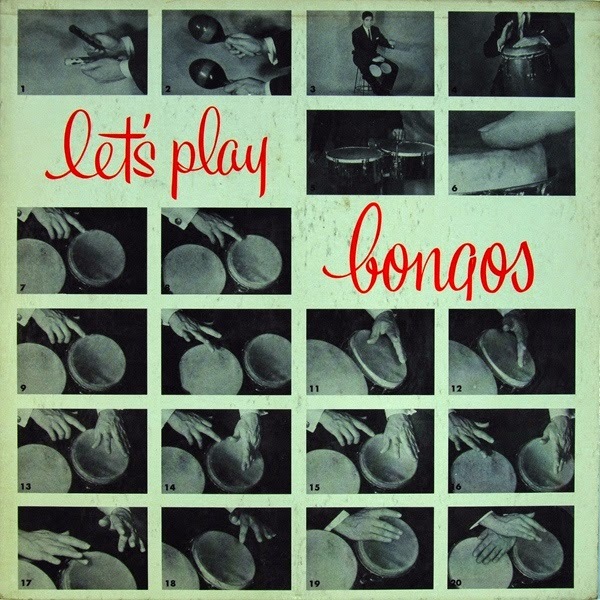 I found this record at a garage sale a few years ago and taught myself to play bongos with it. Been meaning to digitize. Thanks! Hello, MrFab! I'm back here after a year and a few and your blog still rules! Thank you so much from Fireland or whatever! Hey anon, can you learn even without the booklet? Glad you have returned, o prodigal maniac. Does Fireland live in fear of Iceland? 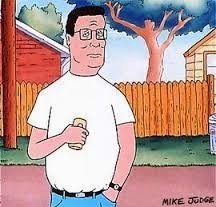 I've had that Hank Hill image stuck in my mind for the past hour, talking to me, no thanks to you! But, being psychically invaded by Hank Hill's voice is offset by this fine exhibition of Bongo-ness! I have a friend who found this in a pile of LPs the local library had donated (as in thrown away ! ): So much for public education! I will ask him about the booklet. Thanks for posting yet another fantastic stack o' wax!